Name: George Tipton Omohundro, Sr.
George Tipton Omohundro, Sr., was born in Buckingham County, VA, on 19 June 1870, and was the son of Richard C. Omohundro (1842-1901) and Mary 'Molly' Isabella Omohundro (1851 - ca. 1873). When his mother passed away when he was three years old, George moved to live with his grandparents in Albemarle County, VA, and nearby George's eventual home at Maple Hill just north of Scottsville. George attended the Miller School for boys from age 9 until he graduated. With a penchant for bookkeeping, George took a course in that subject to prepare for his business career ahead. His first bookkeeping position was with the Virginia Alberene Corporation, and in 1901, George took office as Commissioner of Revenue of Albemarle County, a position he held for 26 years until he retired in 1928. On 23 October 1901, George married Carrie Page (1878- ) of Nelson County, VA, and they were happily married for 54 years. George and Carrie were the parents of two sons: George Tipton Omohundro, Jr. (1903- ), and Henry Page Omohundro (1906- ). This family grew up and prospered together at Maple Hill Farm. George Omohundro, Sr., held many positions in public service and business in Albemarle County in his lifetime to include serving as clerk of the Appropriations Committee in the Virginia General Assembly from 1938-1944. He served for many years as the president of the Alberene Home Mutual Fire Insurance Company, as a member of the advisory board of the Scottsville Branch of the National Bank and Trust Company of Charlottesville, and owned the Omohundro Hardware Company from 1926 until 1955. George also served on the board of the Scottsville Methodist Church for many year. George Tipton Omohundro, Sr., passed away on 14 April 1955 and is buried at Monticello Memorial Park in Charlottesville, VA.
George T. Omohundro, whose lovely home at Maple Hill Farm has been the scene of many happy gatherings of friends and family, disproves the theory that man must leave home to find success. Born in Buckingham County between Manteo and Warminster, the son of Richard C. and Molly H. Omohundro (his mother was an Omohundro, too), he came to Albemarle County at the tender age of three years and has scarcely been out of it since, except for short trips. After the death of his parents, Mr. Omohundro lived with his grandfather about a mile and a half from where he now lives. He attended the Miller School for Boys from the time he was nine years old until he graduated, taking a course in bookkeeping in preparation for the business career which started out as soon as he was out of school. When asked how he learned the ins and outs of the various undertakings, which he now has behind him, Mr. Omohundro said his only training was the "school of hard knocks." He started as a bookkeeper for the Virginia Alberene Corporation. Shortly there afterwards, he became deputy sheriff for Albemarle County, and, in 1901, he took office as Commissioner of Revenue of Albemarle, a position which he held for 26 years, retiring in 1928. "I was never opposed when running for this office except the first two years," he said. About this time, Mr. Omohundro embarked on his career in public service, he married Miss Carrie Page of Nelson County. They celebrated their golden wedding anniversary last fall (October 23, 1951). They have two sons, Henry and George T. Omohundro, Jr.
Their first home was at Cedar Hill near Christ Church. This home is gone now. In 1906, they purchased the Maple Hill Stock Farm and in 1914 built the spacious home in which they now live. This has recently been remodeled. Through the years, Mr. Omohundro has gradually added to his property until he now has four farms joined together. On this land, he has built 20 houses. Starting with less than ten head of Hereford cattle, he now has about 175 head of pure-bred Herefords and does general farming, growing enough to market as well as feed his own stock. It was on one of these farms that Theodore Roosevelt had a hunting lodge, which he visited frequently while serving as president of the United States. He and Mr. Omohundro shared an enthusiasm for fox hunting and often went out together with their horses and dogs. While serving as commissioner of revenue, Mr. Omohunro had a good opportunity to learn the needs and problems of the people in Albemarle. Early in his career he took an interest in politics. He submits to being called a politician, but interprets the world as one "who has an interest in whatever is best for the community and its people." He has been a staunch worker for the improvements of roads in the county, particularly in this area. Under the Byrd administration in 1925, he was chosen as one of six revenue commissioners to re-codify the tax laws of the state of Virginia. He made up the land books for the county, and covered the southern half of the county in assessing all property. During the first years of this activity, he went by horseback and sometimes on foot to all but inaccessible places. He said that he believes the assessment in Albemarle is well-adjusted and it is one of the leading counties in the state. From 1938-1944, he was clerk of the Appropriations Committee in the General Assembly. He has been for many years president of the Alberene Home Mutual Fire Insurance Company. He is on the advisory board of the Scottsville Branch of the National Bank and Trust Company of Charlottesville. While a director of this bank, he and his associates were responsible for the re-organization of the Scottsville Bank which became the branch of the Charlottesville bank. In recent years Mr. Omohundro has turned his interest to real estate and sold a number of large properties through this vicinity. Although he has limited his activities recently, he still keeps a keen eye on the progress of the community and especially what is being done in the legislature. Horses and hounds are Mr. Omohundro's confessed hobbies -- he has always been an inveterate hunter and used to have several good jumpers. He still enjoys the sport and has seven fine hounds. In 1933-34, he won several silver trophies for his dog, "Dora" in field trials and trained all of his own fox hounds. For many years, Mr. Omohundro has served on the board of the Scottsville Methodist Church. He recently turned over his stewardship to his son, George T., Jr. Although a Methodist, he lived close enough to Christ Episcopal Church at Glendower to be a frequent visitor there, and accepted a position on the vestry there as well. Mr. Omohundro entered the hardware business in 1926 when he started the Omohundro Hardware Company, which his son, now manages. His other son, Henry, manages his stock farm. 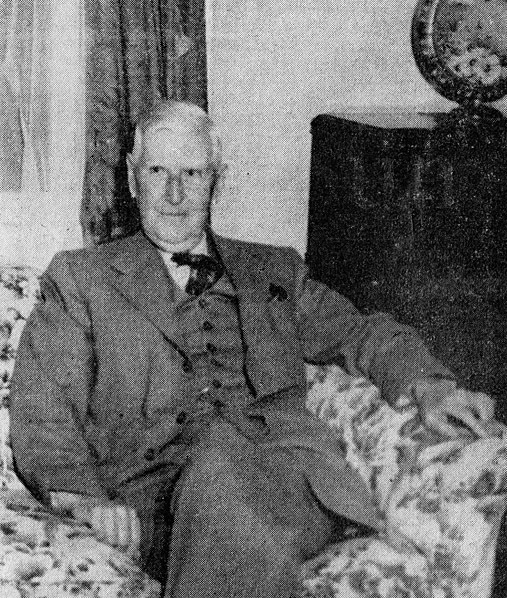 It is impossible in a short article to set down in words the many activities, the ambition and the vital interest which has made this cordial white-haired gentleman one of the community's leading citizens. Simple and friendly in manner, he has led a life of service and one full of activities which he has evidently thoroughly enjoyed. Hard work and constant study were an important part of it. It is men like this who help to keep alive the best interpretation of the often-used term of "southern gentleman." Funeral services were held Saturday afternoon for George T. Omohundro, who died at his home, Maple Hill Farm, near Scottsville last Thursday after a lingering illness. Mr. Omohundro was one of Scottsville's outstanding citizens, having served Albemarle County as commissioner of revenue for 26 years, retiring in 1928. In 1921 he was chosen as one of six revenue commissioners to recodify the tax laws of the State of Virginia. He served as clerk of the appropriations committee in the General Assembly and has been for many years president of the Alberene Home Mutual Fire Insurance Company. He was on the advisory board of the Scottsville Branch of the National Bank and Trust Company of Charlottesville and has served on the board of Scottsville Methodist Church and as a vestryman at Christ Episcopal Church at Glendower. As an enthusiastic horseman and hunter, farmer and business man, Mr. Omohundro had a colorful career which began after he completed his formal education at Miller School. After the death of his parents at an early age, he lived with his grandfather near Maple Hill. He was born in 1871 in Buckingham County, son of the late Richard C. and Molly H. Omohundro. He is survived by his wife, the former Miss Carrie Page of Nelson County, and two sons, Henry Omohundro and George T. Omohundro, Jr., both of Scottsville. He and Mrs. Omohundro celebrated their golden wedding anniversary in 1951. In 1926, he opened the Omohundro Hardware Company in Scottsville, but later retired and turned over its management to his son, George. He had worked as a bookkeeper for the Virginia Alberene Corporation and as an Albemarle County deputy sheriff. More recently he has been interested in real estate enterprises and the raising of purebred Hereford cattle. Funeral services were conducted by the Rev. E. J. Nottingham, III, assisted by the Rev. John P. Elliott. Internment was in Monticello Memorial Park. 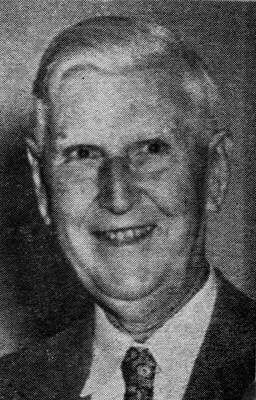 The photo of George Tipton Omohundro, Sr. (1952) accompanied the article on George Omohundro by Elizabeth Wimer in The Scottsville Sun, dated 24 January 1952. 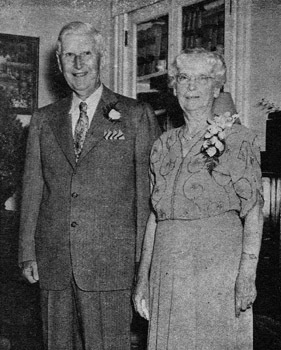 The photo of Mr. and Mrs. George T. Omohundro accompanied an article on their 50th anniversary celebration on 23 October 1951 in The Scottsville Sun, dated 01 November 1951. The photo of Omohundro Hardware Store, 1953, is courtesy of Robert Gladstone, Historical Geography of Scottsville, Virginia: The Relation of Changing Transportation Patterns to a Riverine-Piedmont Community, University of Virginia, Charlottesville, VA, August 1953. The photo of George Tipton Omohundro, Sr. (1955) accompanied his obituary in The Scottsville Sun, dated 21 April 1955.